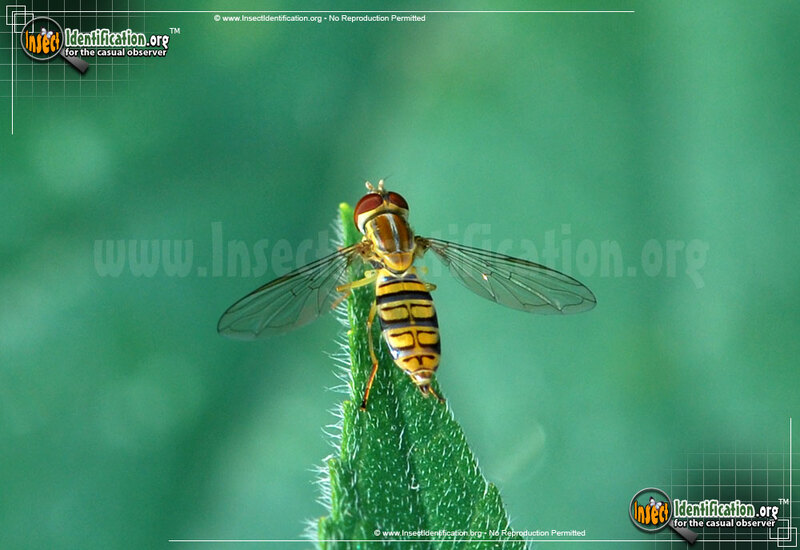 Flower Flies are excellent bee mimics, able to hover over flowers and people, but despite the warning colors, they are completely harmless. Flower Flies are excellent pollinators. They visit flowers to eat pollen, and like other insects including bees, they pick up pollen grains on their bodies and transfer them to other blossoms. 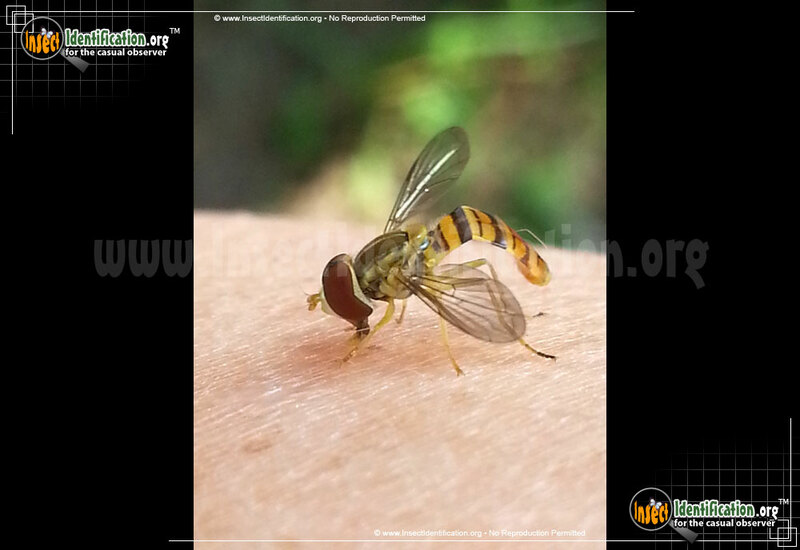 Flower Flies in the Toxomerus genus appear to have a flat abdomen that is able to bend at almost awkward angles. They do not sting and are harmless to people. This particular species can be found on, or near, corn and sorghum plants as well as garden flowers.